dLAN® 500 WiFi technology combines the latest technology and unobtrusive design with the best Internet connection. As a Powerline adapter, the dLAN® 500 WiFi uses internal power lines as a long cable, thereby bringing the Internet to any room. The integrated wireless LAN also provides complete Internet coverage to every nook and cranny. Smartphones, tablets and laptops have full-strength coverage right from the start without any problems. An additional terminal device can be connected at any time (such as a Smart TV or game console) using the additional fast Ethernet connection. Intelligent WiFi Move Technology provides even more freedom: Now, smartphones, tablets and laptops are automatically connected to the Internet – the best Wi-Fi reception in any room or floor automatically! And the compact and unobtrusive design can be integrated into any residential interior without looking out of place. 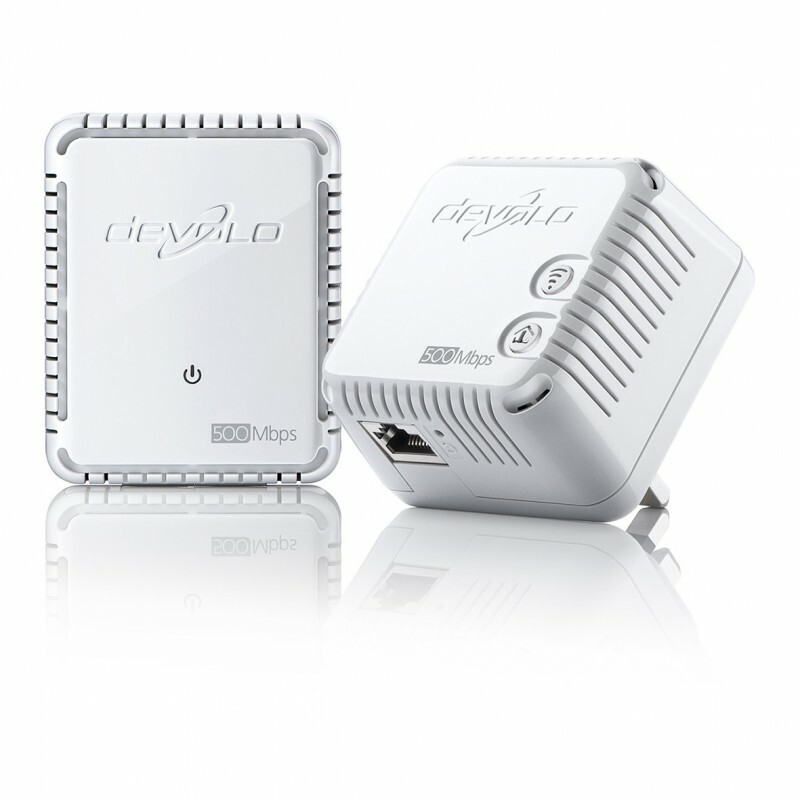 The dLAN® 500 WiFi from devolo brings the future to your home.